Golf resorts are never far away when you vacation in Graeagle. 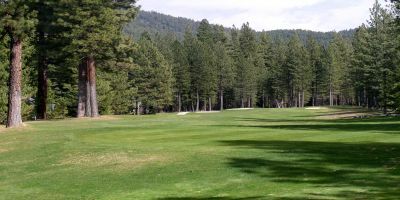 Play High Sierra Golf at Plumas Pines Golf Resort. Is this your favorite course? 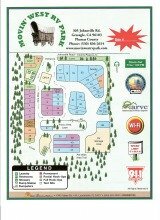 Plumas Pines Resort is located at 402 Poplar Valley Road. The course is 18 holes, 6,504 yards from the longest tees for a par of 72. Golflink.com rates Plumas Pines at four stars. With a four out of five star rating they say it is "Well worth telling your friends to get off the highway and play here"..
Take a few minutes to look at their website. There you will find the score card for the course. A virtual tour of the course. (I found it very interesting). The virtual tour gives a real sense of each hole, what it looks like and gives free golf tips on how to play that hole. While there you will also find the green fees. If you have played this course or would like to play it in the future, and if you just can not wait, jump now to the bottom of the page and share your thoughts, your experiences, your questions about the course with other Plumas Pines golfers. Golfers from our RV Park either love to play golf at this course or hate it. The majority fall into the love it group. From their comments I will tell you that this is a tight course in some areas as homes are built along the fairways. One of the homeowners on the tenth hole tells me his son has a very large collection of golf balls that land in their yard. 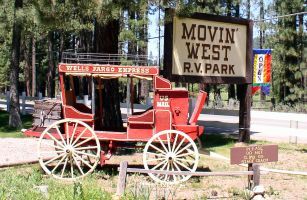 What I have learned as the owner of Movin’ West RV Park is our customers love to play Plumas Pines. They will arrive at the park, set up their RV and immediately head out to the course to get that first round in. We invite you to share your passion for the course with others. Tell them about that hole in one you made. Share your tips on how to play that favorite hole? Whatever your experience share your story and a photo too. Have you found a diamond in the rough? Do you love playing at Plumas Pines Golf resort. Share your story, a tip, or an overall review. Enter Your Title. For Example "My Hole in one"
Tell about the picture in your story. what hole, who is in the picture, Ect.